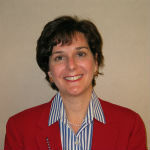 Marie Mascherin is responsible for management of New Jersey Community Capital’s lending operations, community strategies/investments, and residential mortgage platform. She has more than 30 years’ experience in banking and real estate finance, having held positions at Midlantic National Bank (now PNC Bank) and GMAC Commercial Mortgage (now Berkadia). Ms. Mascherin is a member of Community Reinvestment Fund’s New Jersey Advisory Board and PNC’s South Jersey Advisory Board, and is a board member of American Repertory Ballet/Princeton Ballet School. She is a graduate of the Achieving Excellence in Community Development fellowship program at Harvard University’s John F. Kennedy School of Government.